When Dublin-based DJ Muireann O'Connell pointed this out on Twitter, people agreed that the campaign seriously missed it's mark, with shapelier women volunteering to model and help steer Zara back on course. To be clear, it's not that the models Zara featured have no curves to embrace—after all, everyone, including slim women, is entitled to appreciate their own ~aSsEts*~ without comparison. The real issue is that Zara missed a major opportunity to feature average body types that are historically marginalized in fashion. Their choice to preach self-love alongside women with slim, largely unattainable body types that have long made average-sized women feel badly just doesn't make sense. As other clothing brands (Aerie) continue to push the boundaries of traditional advertising by casting more diverse body types, it's no wonder Zara's short-sighted attempt to chime in was poorly received. 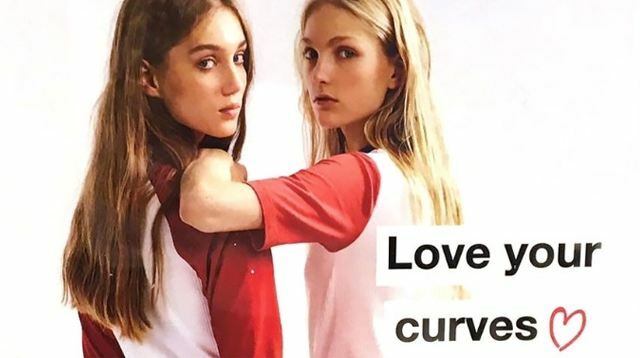 But with any luck, the backlash will deliver an even stronger message, this time from consumers—who already love their bodies—to the brand, who has yet to respond to request for comment.